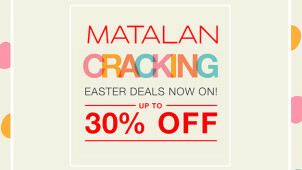 50% Off Luggage and Suitcases at Matalan - Get Holiday Ready! Man bags, or murses (man purses) as they are becoming affectionately known as, are a cause for quite a stir and hub-bub. The general population is still up in arms, about what is and isn’t acceptable arm candy for a man. Even so, with our ever expanding collections of gadgets, gizmos and technology we are ending up carrying around on a daily basis it is fair to say, that men need and deserve bags too. Just because metallic and sequinned clothes are out, doesn’t mean a rugged and manly messenger, satchel or hold all for longer journeys isn’t acceptable – and we’ve got plenty of men's luggage and bags vouchers and offers to help you out with the price of your new accessory! Whether a buttery leather cross body, storm proof backpack or super sleek suitcase or satchel for the office, you’ll find top brands working with us to keep your costs down. So what are the ground rules for purchasing a man bag? There is certainly some protocols to adhere to if you want to pull the look off to perfection. First off, a one size fits all to take care of the majority of occasions is a must and investing just that little bit extra for something durable and made from good quality materials will pay dividends in the end. Whether it’s a weekend duffle from Jack Wills or performance messenger from Cotswold Outdoor you’ll find plenty of men's luggage and bags discount codes here at vouchercloud to cover your utilitarian must-have.